Save on your next flight from REX to MXL when you book through Travelocity. Need a last-minute flight to Mexicali? Travelocity offers discount airfare no matter when you book, even on popular routes such as General Lucio Blanco Intl. Airport to General Rodolfo Sanchez Taboada Intl. Airport. Whether you need a direct or indirect flight, you can trust Travelocity to provide you with the best prices for REX to MXL flights. Top Flights from General Lucio Blanco Intl. Top Flights to General Lucio Blanco Intl. Explore Mexicali with Travelocity's Travel Guides to find the best flights, cars, vacation packages and more! Situated in Mexicali, this hotel is within 9 mi (15 km) of Casas Geo Stadium, UABC Cultural Studies Institute, and Arenia Casino. Baja California Autonomous University and Vicente Guerrero Park are also within 9 mi (15 km). 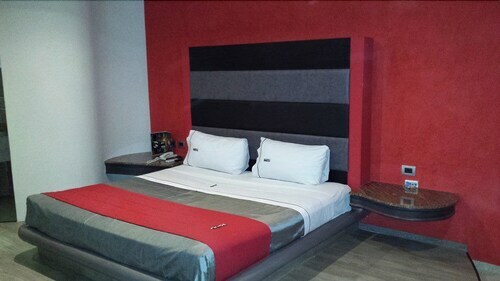 Situated in Mexicali, this hotel is within 9 mi (15 km) of Plaza Cataviña, Arenia Casino, and Plaza de Toros Calafia. Casas Geo Stadium and Vicente Guerrero Park are also within 9 mi (15 km). 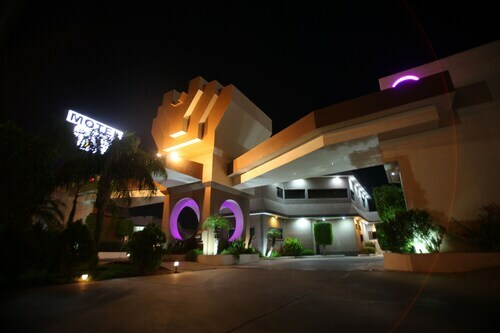 Situated in Mexicali, this hotel is within 6 mi (10 km) of Arenia Casino, Plaza de Toros Calafia, and Casas Geo Stadium. Vicente Guerrero Park and Sol Children's Museum are also within 6 mi (10 km). See all 19 Properties in General Rodolfo Sanchez Taboada Intl.